Ho Chi Minh City, formerly Saigon, is the largest city in Vietnam named after the late communist leader Ho Chi Minh, who led the nation against both France and the U.S.A. Ho Chi Minh City, Vietnam has been historically a political and administrative centre of Vietnam. Today Ho Chi Minh City, Vietnam is a rapidly developing, dynamic, and the economic capital of Vietnam. It is perhaps the heart and soul of Vietnam. 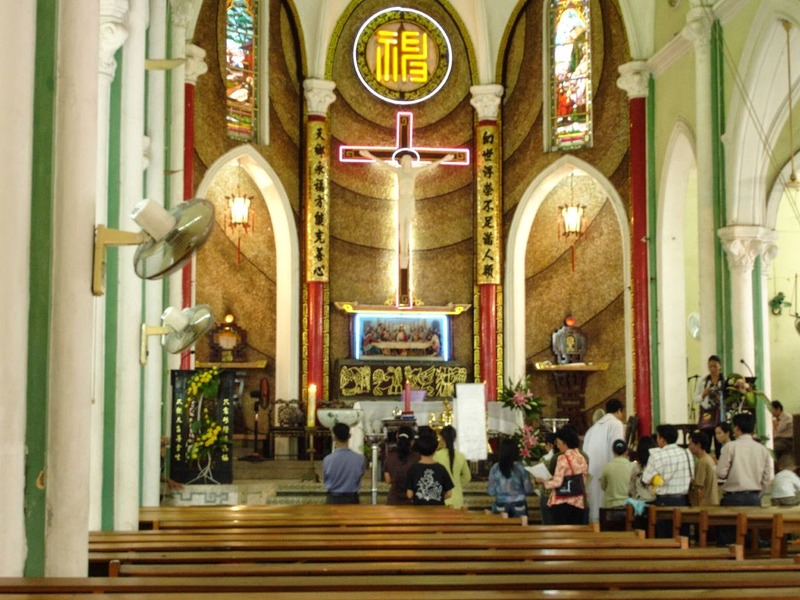 Sai Gon City is not only famous for entertainment destinations but also its churches. These churches are attractive to many tourists to enjoy Christmas night. 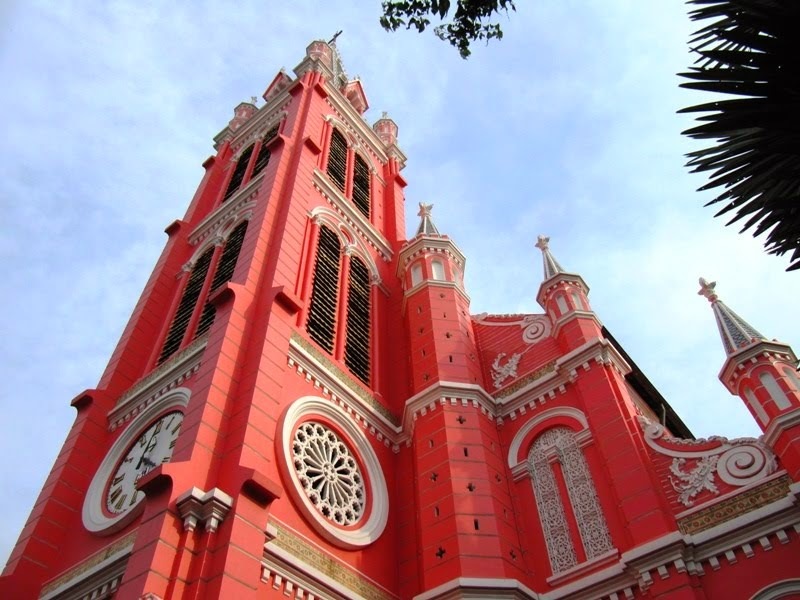 Most churches in Saigon were built in the latter half of the 19th century. They were a combination between the French architectural style and Gothic style. Some churches were created to work as an emotional support for the French government while some churches were religious works to meet the spiritual needs of indigenous believers. In fact, Duc Ba Church is the largest church in the city. It was completed in 1880 and known as State Church because the French colonial government spent money building. It was the place where official ceremonies were hold and then was taken over to the diocese of Saigon. At that time, Duc Ba Church was considered the largest church in the French colonies. It was made of Marseille bricks, stained glass and steel frames brought from France adding to Bien Hoa green stones. The round windows based on the the Roman style along with arches based on the Gothic style. They remind us great cathedrals in Paris, Chartres and Reim. Duc Ba Church was absolutely no room for candles. It was fully illuminated by electric lights after being built. The work was started on October 7th 1877 and inaugurated on November 11th 1880. The church was designed in France and guided by a French engineer named Bourad. Huyen Sy Church was built in a prototype of a small church in France. This was one of rare works using used Bien Hoa granite material for its bases and main columns. This stone is very hard so this church does not have the traditional decorative details but it expresses wealth. Huyen Sy Church’s architecture is the new Gothic style. Its main face has arches, windows with sharp arches and some other special decoration. It walls has windows but allows a little light to radiate. Behind the church, there are graves of Mrs Huyen Sy ( Le Phat Dat ) made from marbles and two statues. Huyen Sy was the richest person at that time. He had to spend money building the church, so this place was named “Huyen Sy church”. Cha Tam Church known as Francis Xavier church in Cho Lon market was decorated as Chinese temples. On December 3rd 1900, St. Francis Xavier, Mossard Bishop and bishops of Saigon were allowed to do put the first stone to build this church or Francis Xavier church today. On October 1st 1902, this church was inaugurated solemnly. After this church was buitt, Tam Asson pastor ( Dam A To) also built a school, a foster home, a boarding house and houses for rent. In 1934, Tam pastor died and was buried at the entrance wall area of this church. Therefore, it was called Cha Tam church. In 1990, its steeple and sanctuary are revised refurbished. Tan Dinh Church is smaller than Duc Ba church. 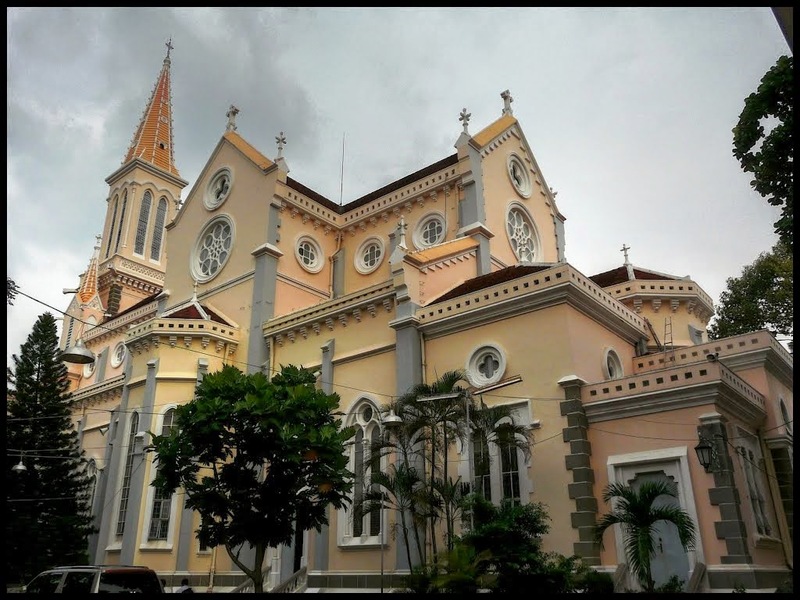 It is a place for Vietnamese parish and a typical blend of architectural styles of French churches. In fact, this church was built and expanded in several stages. Inaugurated on December 16th 1876, Tan Dinh Church was one of the religious buildings built early in Saigon. Located on a bustling street, Tan Dinh church has a beautiful architecture from the curved arches to the finely carved details. Every sunset, bells of this church ring and white clouds float in the sky. All things create a romantic and beautiful picture. Cho Quan Church architecture was based on Gothic style. It was built over 100 years ago but it is majestic and the most massive building in Cho Lon market. 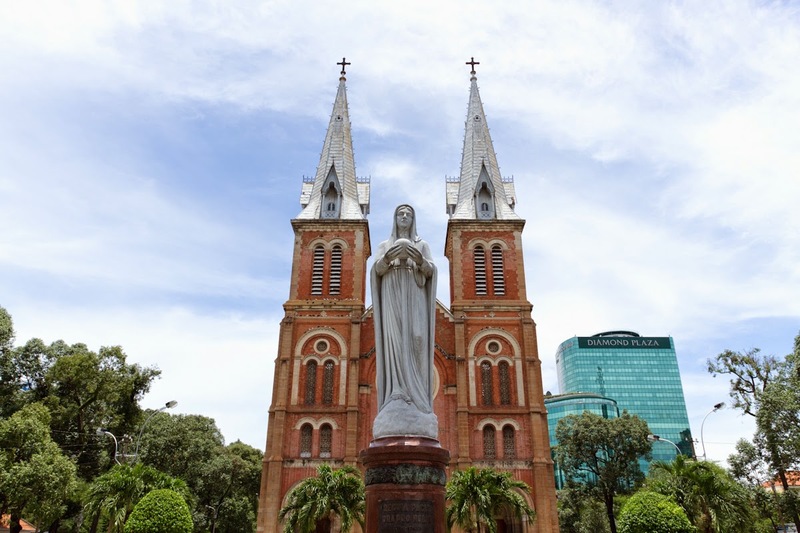 Cho Quan is one of the oldest parishes of the Archdiocese of Ho Chi Minh City. The first chapel was built in 1674 in there by parishioners coming from the northern and central. After this church had been rebuilt several times, in 1887, Nicola Ham priest started to construct a new church. This work was inaugurated on 4th January in 1896 (lunar calendar) and has existed so far.